Uniroyal® tires are built to traverse any task with ease. Uniroyal® tires deliver outstanding wear and handling at affordable prices. Each tire is high-quality and incredibly dependable. The company constantly pushes the boundaries of innovation with each new line of tires. 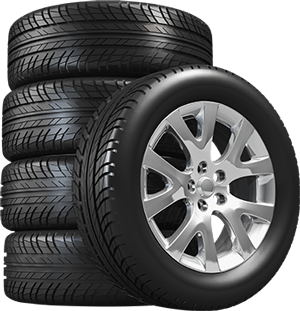 Shop Uniroyal® tires with Tires Unlimited of Eagle Pass serving Eagle Pass, TX, Carrizo Springs, TX, Crystal City, TX, and surrounding areas. Shop UNIROYAL tires with Cavalier Automotive today. We serve the Troutville VA area and surrounding VA areas. Meet our featured Uniroyal® Tire models? If you need a strong, dependable tire that delivers reliable all-season traction at a great price, don't miss the Uniroyal Tiger Paw Touring NT. With performance-tire handling, touring tire comfort, and a tread that lasts and lasts, this is a tire choice you won't regret. Value meets high performance in the Uniroyal Tiger Paw GTZ All Season tire. This tire features Uniroyal’s Tiger Claw tread design for aggressive wet and dry traction, giving you driving confidence and strong performance in just about any weather -- even light snow. Affordably priced and built to wear evenly for longer tread life, the Tiger Paw GTZ tire is a great value for anyone who loves to drive.